What Is the Zip Code for Park Slope in Brooklyn, NY? Driving to Park Slope and need to put the address in GPS? Despite living in a world of digital communication, do you still send letters? 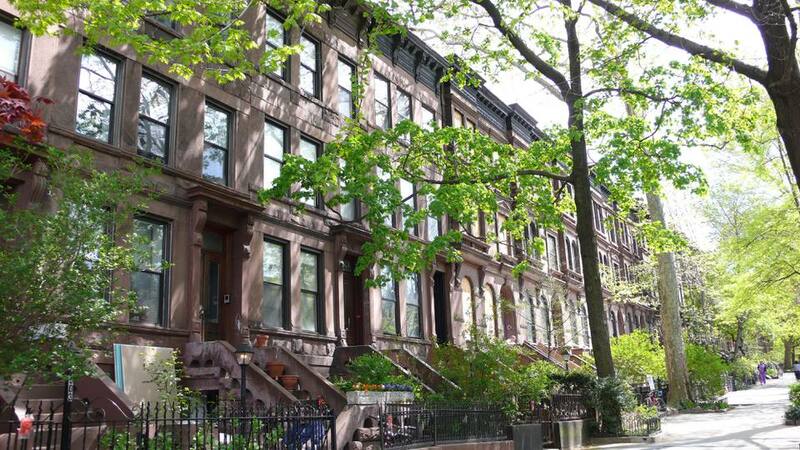 There are many reasons you might need the zip code for Park Slope, Brooklyn. If you do, you should know that Park Slope has two zip codes: 11215 and 11217. Although there are only two zip codes for this section of Brooklyn, there are three parts of Park Slope. These three parts are Center Slope, North Slope, and South Slope. Center Slope and South Slope use the zip code 11215, as well as neighboring Windsor Terrace. However, parts of North Slope use the zip code 11217. How are these three parts of Park Slope divided? Center Slope runs from 1st through 9th Streets. South Slope starts on 10th Street and runs until the Prospect Expressway. North Slope begins on Garfield Place and ends on Flatbush Avenue. However, the 11217 North Slope zip code is only for parts of North Slope and doesn't include Garfield, President, Carroll Street, or Union Street. In the past couple of decades, the quiet, brownstone streets of Park Slope have become a coveted neighborhood for young families. Many Manhattan families have relocated to the area. The increased interest in this area, along with stellar public schools, attracted a lot of development to this part of Brooklyn. Fourth Avenue, which was once home to tenants such as warehouses and auto body shops, is now lined with high-end apartment buildings brimming with amenities including stroller valet parking, playrooms, and many other family-friendly benefits. Park Slope's 5th and 7th Avenues, stretch between South and North Slope and are filled with unique shops and notable restaurants. However, 7th Avenue is a bit sleepier than 5th Avenue, which is known for being a vital part of Brooklyn's nightlife. The stretch of 5th Avenue near Flatbush Avenue houses many restaurants and bars catering to people attending events at Barclays Center. Barclays is a short walk from the heart of North Slope. Park Slope is accessible by subway. The F train stops in Center Slope, at 7th Avenue and 4th Avenue. The N, R & D trains stop at Union Street and 4th Avenue. You can take the 2 or 3 to Grand Army Plaza or you can take the B or Q to 7th Avenue and Flatbush. You can also travel Park Slope by bus. Check out the MTA website to see all your options. Park Slope is a lot more than a zip code. It's worth a visit. From the posh buildings on Prospect Park West, which overlook the verdant Prospect Park to the quaint brownstone-lined streets in Center Slope. this is both a great destination for visitors and an ideal location to raise a family in New York City. If you're just searching for a Post Office in Brooklyn, here's a list of the local post offices. Brooklyn Zip Codes by Number: What Neighborhood is that Number?